I have used Contact Telemarketing on several occasions to do telemarketing for this business. They have been efficient, professional and easy to do business with. They are very willing to listen and understand what my business objectives are, and work with me in developing telephone marketing strategies. I have received good unsolicited comments from potential customers, saying that the person who rang them was polite and efficient. 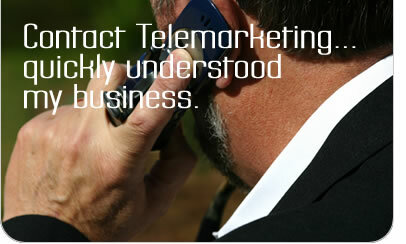 I am happy to recommend Contact Telemarketing to anyone requiring this type of business service. Health Protect International - Tauranga. I wanted to get a foot in the door for business oriented functions and events and didn't know where to start. Contact Telemarketing soon had my diary full of consultations with local businesses and I haven't looked back. We are too busy to stay in touch with our customer database but we know it is the most cost effective way to get repeat business. Contact Telemarketing quickly, efficiently and effectively contacted our customer database for us resulting in sales. We utilised Contact Telemarketing to undertake a telemarketing exercise to gather information from potential school clients. The exercise was carried out concisely, efficiently and within a quick timeframe. I was impressed with the information gathered and reporting back which will enable us to prepare a marketing campaign to increase our client base. I would have no hesitation in using Contact Telemarketing again. Contact Telemarketing generated more sales leads than all of the other media streams we invested in. Plus we received valuable direct feedback that helped us refine our promotional strategy based on our client's requirements - we will definitely use their services again.